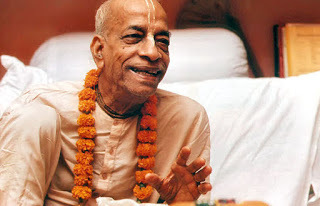 SRILA PRABHUPADA FESTIVAL - JAN 1, 2019 ~ The Toronto Hare Krishna Temple! 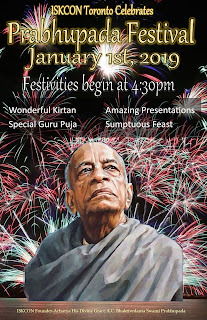 On New Year's Day, Tuesday, January 1st, 2019, Toronto's Hare Krishna temple will be hosting our annual Srila Prabhupada Festival! Promising to be a great way to start the new year, the festival is usually one of the biggest of the year. 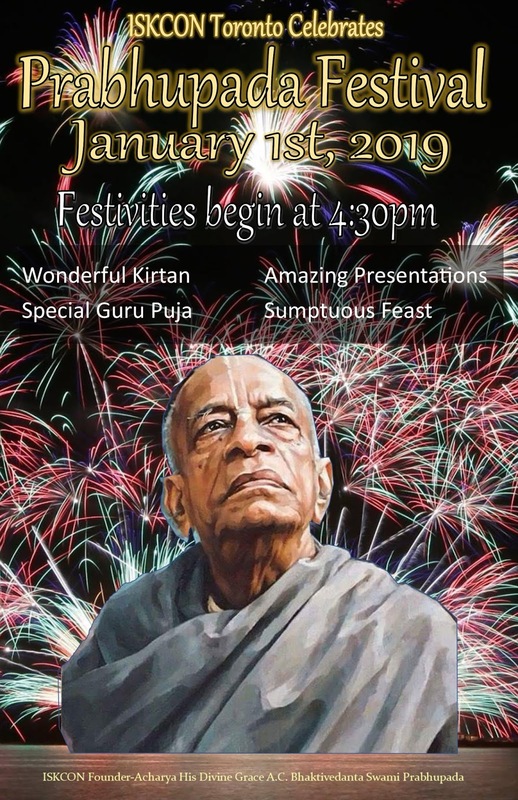 The festival will feature plenty of kirtan, wonderful classes, a dramatic presentation by Bhaktimarga Swami and a sumptuous feast to help ring in the new year! You won’t want to miss it! There will be no better way to usher in the new year on an auspicious note!